Tiles have been around for thousands of years, covering our floors, walls, ceilings and roofs. There must be something instinctively appealing about them to us humans – especially now that they’re gaining more popularity on our phones, tablets and PCs. Why is this happening? Did Microsoft, the old guard of technology, seemingly stumble upon the current and possible future of UI (User Interface) design? The initial foray into “tiling it up,” (a phrase never uttered by anyone ever) was with the initial release of Windows Phone 7. While they didn’t quite score a touchdown with this Hail Mary, they made it to the 20 yard line. They were able to show that tiling is appealing, and they added it to their newest (and struggling) OS Windows 8. Since then other apps have taken the metaphorical ball and run with it. What is so appealing about a tile UI? For one, tiles are big, easily touchable, and can be resized to the user’s preference. They’re also dynamic, instead of the typical static icon, tiles can convey personal information and pictures that can make the whole experience feel more like your own. Other than the obvious Windows phone and Windows 8, what other apps/OS’s have adapted this UI, and how are they implementing it? Hello Myspace, I see you’re really into bands now. The latest tactics to bring this down-and-out social network back from life support is its renewed focus on music and its eye catching, side scrolling tile UI that displays information about the artist/band/person as you hover over them. It adds a nice, clean uniformity and mature look to the once tween-entangled, oddball-out crowd it was famed and then ridiculed for. Pulse is an ingenious, slick looking RSS feed that incorporates the news into a tile UI. It allows you read each article within the pulse page and share the story you’re reading from that page as well. Perhaps HTC is getting a little bored by Android’s static icons, and is a bit envious of the Windows phone. With its latest Sense 5.0 UI on its newest phones, it uses a vertical tile system like the Windows phones do. Imitation is the highest form of flattery though, right? This Sense 5.0 UI is also part Pulse, where the news sources, blogs and social media feeds are linked to different tiles, for higher glance-ability. Are you getting a pattern yet? Tiling provides personalized content to the user – and lots of it. The design makes it easy for individuals to decide what they want to see and where. Unfortunately Microsoft couldn’t buy the rights to interactive, dynamic tiles, because now their biggest competitor in the gaming console industry is borrowing the concept for the PS4. While not much is known about the UI, Sony did release a video highlighting several features of the console, including glimpses of its colorful tile-like interface, which (like the others) appears to be feeding from social network sites and what other gamers are currently doing in the game they’re playing. Note: Social integration may have paved the way to the popularity of tiling. You’re not just on the PS4, you’re tweeting about your experience. Tiling increases multitasking. Look around, tiling is not only gaining popularity in the digital world, but in the real world as well – restaurants are even adapting the aesthetic. If you check out any newly built McDonalds, KFC or Applebee’s (and I’m sure there are others)you’ll notice a very square, tile-like presence to the décor. Perhaps they’re taking a cue from the tech world to look more relevant? 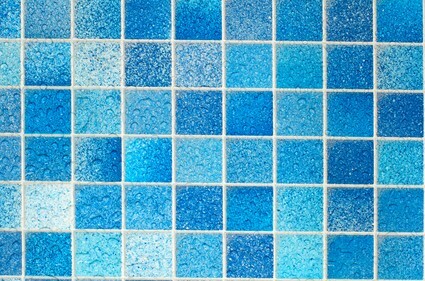 What do you think of the current tiling trend, will it penetrate deeper into the tech industry? Will it spread to other industries? Or is it just the latest fad?